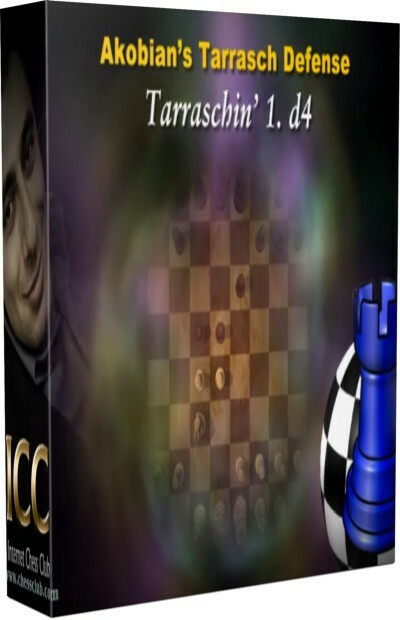 The Tarrasch Defense to the Queen's Gambit (1 d4 d5 2 c4 e6 3 Nc3 c5) is an excellent choice for Black, especially for players at club level, as it offers the kind of free piece play and contests control of central space that they find easier to comprehend rather than some of the more complex, strategy-based systems. It was a great favorite of World Champions Boris Spassky and Garry Kasparov, not to mention its originator, Dr. Siegbert Tarrasch. The modern- day Tarrasch maven though is the young American GM Varuzhan Akobian, who, in a new 3-part series, outlines a reliable Tarrasch repertoire - and with the added bonus of all being taken from his own practical experience of using it at the highest level.